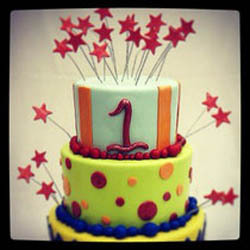 The London Breakfast Club is one year old today! What started as an idea for us to try and recreate the supportive atmosphere of the London Screenwriters Festival has quickly blossomed into a fully fledged event and community in itself. What we wanted to do was have a monthly event that creatives could come to before they went to work. Where, for a couple of hours, they could be inspired, entertained and meet with other people just like them. We get a top-class speaker, add a cooked breakfast and allow plenty of time for networking and what do you know – creative people come out their shell and talk to each other. Speaker wise we have had legends like Robert McKee, Linda Segar and Linda Aronson, through to major producers like Iain Smith, Brad Wyman and Lisa Albert, top notch practitioners like David Nicholls, Yvonne Grace and Mark Talbot and even Indiegogo founder Danae Ringleman. We’ve tried to make the London Breakfast Club open for many different types of people in the creative industries – filmmakers, screenwriters, producers, composers, artists, actors, agents, even lawyers and accountants and everything in between. And we want to know what YOU want. As a Breakfast Clubber, as a potential Breakfast Clubber, what type of speaker would you like to see grace the hallowed halls of the Phoenix Artists Club in the next couple of months? My family members always say that I am killing my time here at web, but I know I am getting experience everyday by reading such nice articles.